If you want to increase your sales and make customers more loyal to your online store, offering the same product prices to all your website visitors is not the most efficient method. Differentiated pricing strategy and personalized discount system are the key aspects for selling more products and increasing conversion rates on an ecommerce site. Unfortunately, the Magento 2 platform has a limited functionality related to individual pricing and promotion rules, but you can extend the default features by installing the appropriate third-party tool. Today, we present you Mageworx Customer Prices Suite for Magento 2 – an all-in-one solution for creating custom pricing strategy and personalized promotions. The module is a bundle of several Mageworx extensions: Customer Group Prices, Prices per Customer, and Personal Customer Discount. Combination of the functions of these three modules will bring your marketing strategy to a new level and help to build stronger relationships with your clients. After installing the Customer Prices extension, you will be able to configure customer group-based and personal pricing schemes and promo campaigns, create product-specific prices, and adjust the display of special prices on your storefront. Below, we describe the feature highlights of the Mageworx Customer Prices Suite extension and show how it works in the backend and frontend. Magento 2 Customer Prices Suite by Mageworx brings online store owners extensive possibilities to configure prices per customer group, as well as for individual customers. With the help of the module, you will be able to diversify your pricing strategy based on customer segment and create custom prices for any client. Also, you will get the necessary tools for running targeted promo campaigns and offering exclusive deals for selected customer groups or your loyal clients individually. Thus, you will be able to enhance your marketing strategy, increase customer engagement, and boost sales. 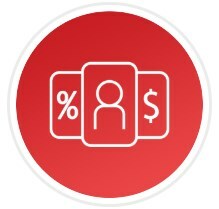 The Magento 2 custom pricing module enables users to implement customer group-based price diversification and offer different prices to wholesalers, retailers, and other customer segments. 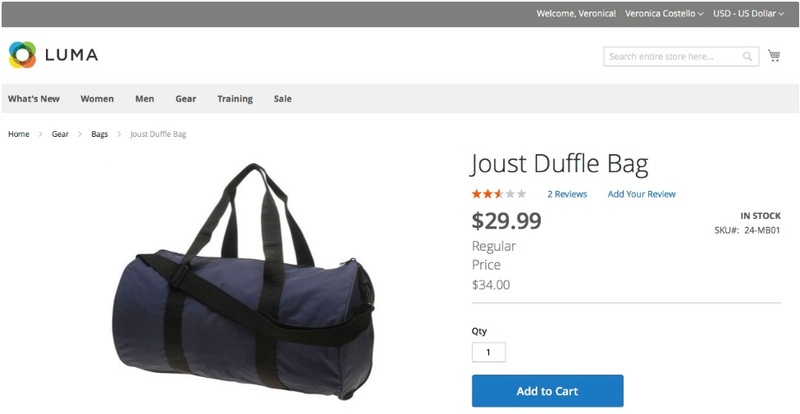 This function brings new possibilities for price management on an ecommerce store. For example, you can separate pricing schemes for logged-in and not logged-in visitors of your website. As a store owner, you decide how you want a special price to be visible for customers on the storefront: whether alone as a regular price or along with the crossed original price of a product. Customer Prices Suite allows setting an unlimited number of customer group and individual pricing schemes and creating special prices for any product. Using the extension’s functionality, you can create special customer group prices on the product level, as well as for custom product catalogs. The Magento 2 customer prices module supports all major product types, including simple, configurable, group, and others. Admin users can set a custom group price as a fixed or percent surcharge to the original price or as a discount from it. Besides, it is possible to configure the extension settings so that created special prices will be automatically applied to catalog and cart price rules, taxes, and gift cards. Note that custom prices can be displayed not only on product pages but also in layered navigation filters and on the search results pages. As for individual pricing schemes, you can fully leverage the module’s functionality to create custom prices for selected customers without any limitations. Customer Prices Suite is an excellent solution for differentiating prices based on customer purchase activity. This way, you can offer individual pricing for your most loyal customers or reduce the price of a product added to a customer’s cart without purchasing. Using the module’s flexible settings, you can customize prices on the product or customer level and select between various pricing schemes. In the same way as for the customer group-specific prices, on the frontend, you can display a special price next to the crossed default price of a product or replace the default price with a custom value. Other advanced features offered by Magento 2 Customer Prices Suite are related to product promotions. With the module, you get the ability to create promotional campaigns based on customer segmentation. This way, you can offer different special deals to your wholesale customers and VIP clients. Besides, you can incentivize your store visitors for particular actions, like creating an account to get a discount as a bonus. Moreover, you can provide personalized discounts to targeted customers. The functionality is available right in the cart price rules configuration section, where you can quickly assign personal discounts to selected customers. The Magento 2 custom prices module allows selecting cart item, product, and cart attributes as a basis of conditions that will trigger the discount rule. 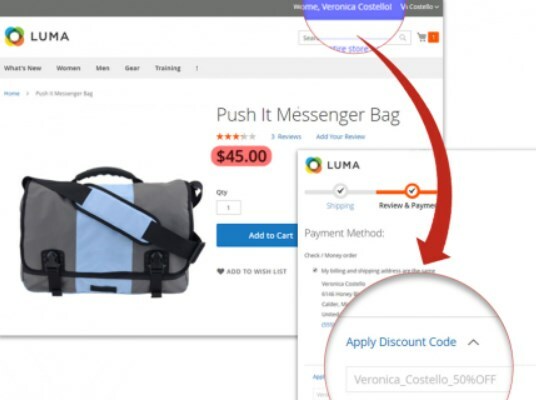 If you operate your store on the Enterprise edition of Magento 2, you can also leverage the scheduled updates functionality for created promo rules. Import/export of prices available with the Customer Prices extension can significantly save your time on routine tasks of prices management. 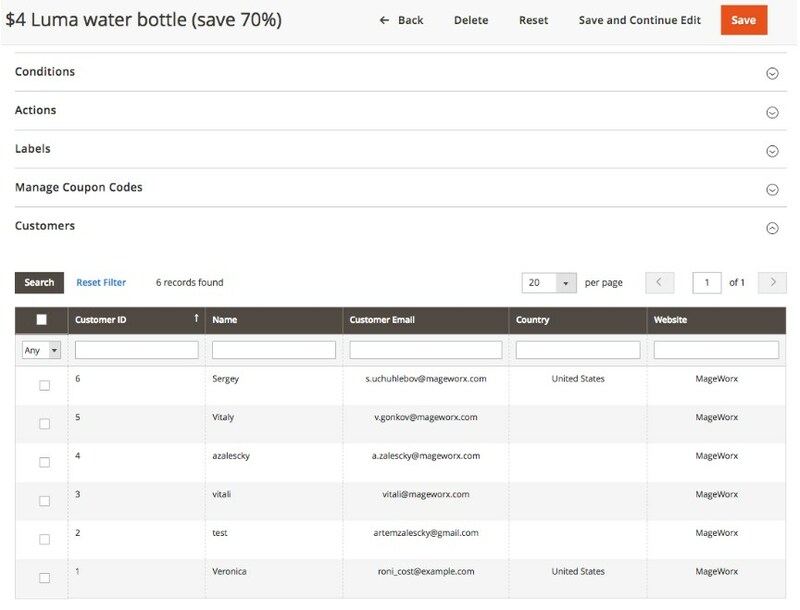 The module lets admins upload a CSV file with existing prices or export price-related data in a few clicks. Besides, you can quickly transfer prices information from your Magento 1 installation, which is especially useful when you are in the process of migrating your store to Magento 2. First, let’s see how to set special prices per customer group. In the admin panel, navigate to Customers -> Customer Groups and select a group for which you want to configure individual pricing. 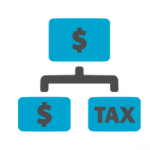 Here, you can change a group name, select tax class, specify the group price, and choose a price type (Fixed or Percent). In the Group Price field, you should use “+” in front of the numeric value for price surcharge and “-” for a discount. If you want to set a custom price for a particular customer group on the product level, go to Products -> Inventory -> Catalog and select the product you need to configure in the Products grid. When on the product page, click the “Advanced Pricing” link under the “Price” field. In the opened window, you will see 2 new blocks added by the module: Group Price and Special Group Price. Group price will replace the product’s standard price. As for the special group price, it will be displayed along with the original price. In the custom group price settings, select relevant website and customer group, as well as specify the price as a discount or surcharge and choose its type (fixed amount or percentage). By clicking the “Add” button, you can create an unlimited number of pricing options per product for any customer group. As we’ve described above, the Customer Prices Suite extension also provides the ability to set custom prices for individual customers. You will find the relevant settings in the Prices per Customer tab on the product view page. First, click the “Search Customer” button to find an email address of your client for whom you want to offer a special price. Percent Difference (±10%) – increases (surcharge) or decreases (discount) the existing price by the set percent. After saving your custom settings, you will be able to view, edit, and delete created individual customer prices in the grid below. It is also possible to set individual pricing on the customer level under Customers -> All Customers in the Magento Admin. The module adds the Customer Price tab to Customer Information. Here, you will see a grid that shows created individual pricing for a specific product. If you want to add more products with custom prices for this customer, click “Reset Filter” or select “Any” from the checkbox column and press the “Search” button. It will make all your products visible on the grid. Next, you can specify Customer Price and Customer Special Price for the selected items. As for the personal promotions functionality, you should navigate to Marketing -> Promotions -> Cart Price Rules to configure their options. You will see a grid with all existing discount rules where you can select the one to limit its audience or create a new promo rule. 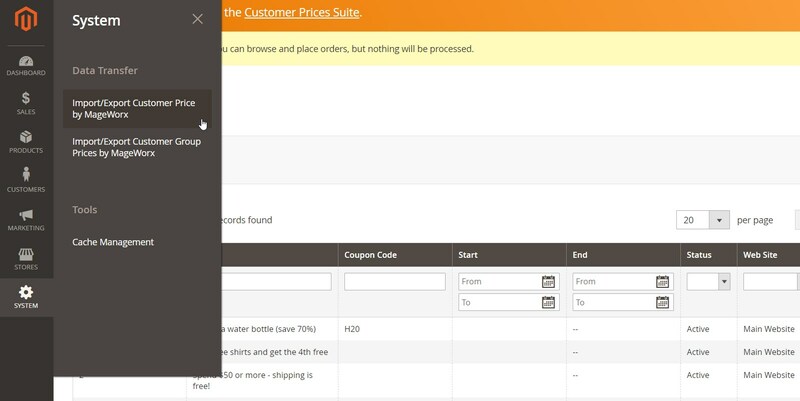 The Customer Prices module adds the Customers tab to the rule configuration page. The new section shows the grid where you can select one or several customers for whom the promotion rule will be available. The import/export functionality can be found under System -> Data Transfer -> Import/Export Customer Price by MageWorx / Import/Export Customer Group Prices by MageWorx. Here, you can upload a CSV file with custom prices for import, as well as export customer prices. You can check the required structure for the file by clicking the “Download” link. Besides, Customer Prices Suite allows importing special rates created in the Magento 1 installation. The same functions are available for both Customer Group Prices and Prices per Customer extensions. The configuration page of the module is divided into 3 tabs: Customer Group Prices, Personal Promotion, and Prices per Customer. 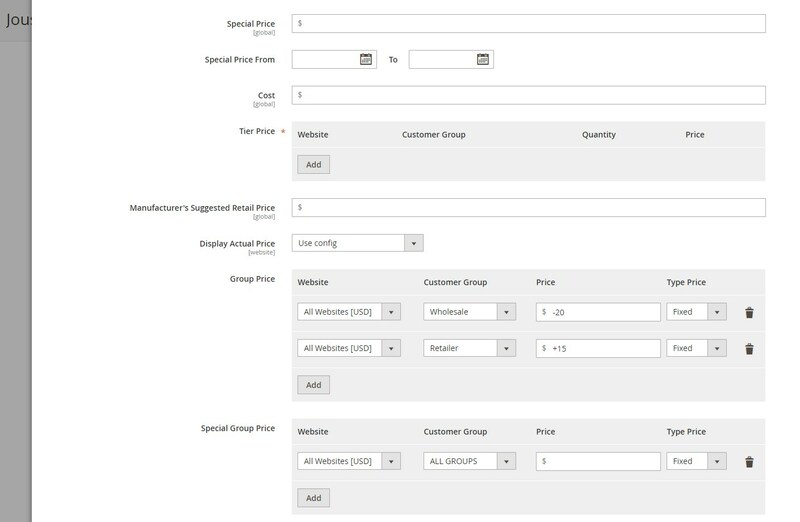 In the first one, you enable/disable the customer group prices functionality on your store and decide whether to use created group prices in catalog and cart price rules by default. The next tab allows enabling the personal promotions functionality configured on the cart price rule level. In the last settings section, you decide whether to use special customer prices in the cart price rules automatically. 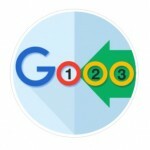 Here, it is also possible to manually sync data after performing changes in the prices by clicking the appropriate button. Below, you can check a few examples of special prices functionality on the frontend. In the first image, you can see that not logged in customers get a $10 surcharge for the same product. As for the custom price display, in this example, it replaces the regular product price. In the following example, the discounted price is displayed to an individual customer along with the original one. This way, you motivate the customer to make a purchase by showing how much he or she can save. As we’ve described above, you can also provide unique discounts to selected customers, which they can apply at the checkout. Magento 2 Customer Prices Suite by Mageworx provides ecommerce store owners with comprehensive functionality for custom pricing on the customer group and individual basis. By offering customized prices to selected customers and customer groups, you will be able to set a targeted pricing strategy and build strong relations with your clients. Possibility to create personalized promo campaigns based on flexible conditions will help you increase conversion rates and gain more profits. As for the price, you can buy this powerful three-in-one Magento 2 module for $239 and save more than 30% on purchasing each of the extensions from the bundle separately.